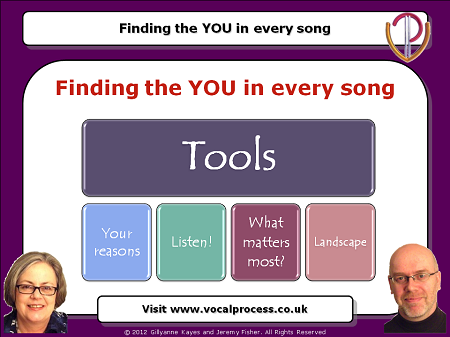 Going beyond technique to find your version of the music, the words, the purpose and the context of every song you sing. 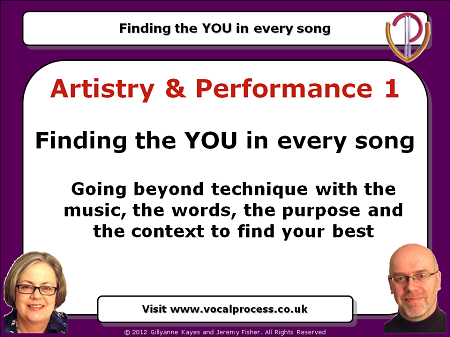 We've worked over the last 25 years with literally thousands of performing artists in theatre, opera, cabaret and the recording studio to help them find their real voice, not just with vocal technique but with personally targeted performance techniques. 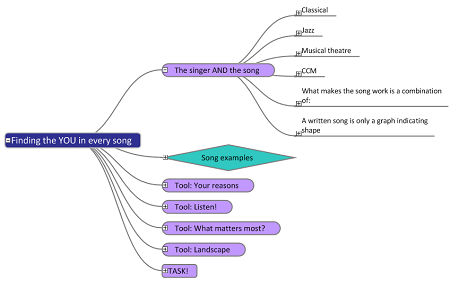 In this webinar we share with you what makes a song, and what makes it yours. You'll discover what your default phrasing is and be able to change it - the way you can use individual phrases will be different for different genres. As soon as your Webinar order goes through, youâ€™ll get an email with confirmation of your purchase. We'll send you the PDF Handout directly to your email inbox in a time-limited link. Make sure you download it to your hard drive straight away. If you want to discover the techniques that great singers use to make a song their own, get your front row seat on this webinar now!